Siemens’ / Signia’s Pure Primax Sale! Prices Start at Just $949 per Aid! 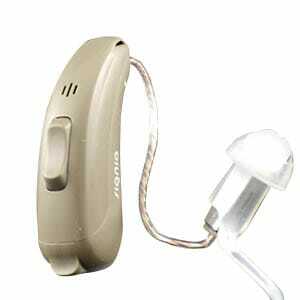 Signia is the new name for Siemens hearing aids. Siemens / Signia Pure Primax hearing aids continue the tradition of technological excellence that has helped Siemens / Signia develop a reputation as a leading hearing aid manufacturer. By combining reliability and convenience with high quality performance, the Pure Primax will allow you to hear more clearly at a reasonable price. Designed for people with a wide range of hearing loss, from mild to severe, the Siemens / Signia Pure Primax is an RIC style, digital hearing aid that uses the smaller size 312 battery. It is also rechargeable and integrates easily with your iOS or Android based smart devices with the touchControl app. Advanced features like automatic adaptive directionality, binaural technology, SpeechFocus and Tinnitus Management help make the challenges of hearing loss easier to overcome. Combined with the convenience of wireless connectivity, the Siemens / Signia Pure Primax hearing aid will easily integrate into and help improve the quality of your life. 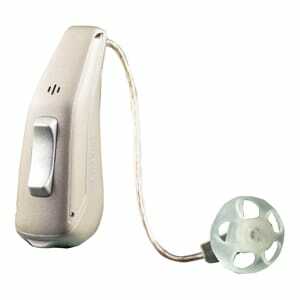 Siemens / Signia Pure Primax hearing aids include a 3 year warranty PLUS loss and damage insurance. Also, each hearing aid purchase from Precise Hearing comes with a 30 day, 100% money back return policy – so your satisfaction is guaranteed. Narrow Directionality – binaural communication between microphones in a pair of hearing aids provides exceptional focus on the voices you wish to hear. Noise Reduction – up to 48 channels of digital signal processing reduces environmental noise for clearer and more comfortable hearing. 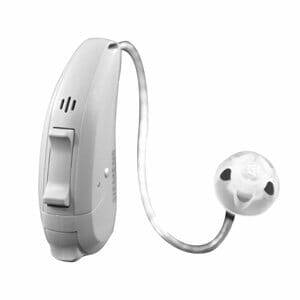 touchControl App– discretely control your hearing aids from iOS and Android devices such as mobile phones and tablets. Wireless Connectivity– stream media directly from nearly all of your favorite gadgets like mobile phones, music players, tablets and TVs.